Originally the owner of several tax offices in the area, Chris desired the more personalized experience a CPA firm could offer and ended up buying Frank's practice in 2012. Chris graduated in 2000 with his degree in Accounting and became a CPA in 2004. He often prays for more grey hair so people will start guessing his age more accurately ;) He enjoys tennis, music, movies, attending his kids' sporting and music events, a good practical joke, and trash-talking his way through football season in our office's Fantasy Football league. Chris lives in Seabeck with his wife, Tiffany, and their three children. Tom bought the practice with Chris (pssst... they're brother-in-laws) in 2012. 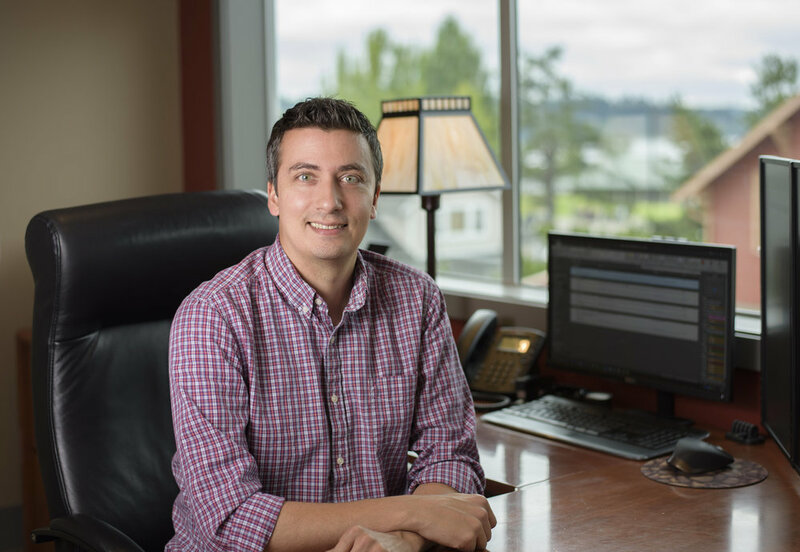 Born and raised in Bremerton, he took a job early on at PSNS but quickly realized it was not his passion. 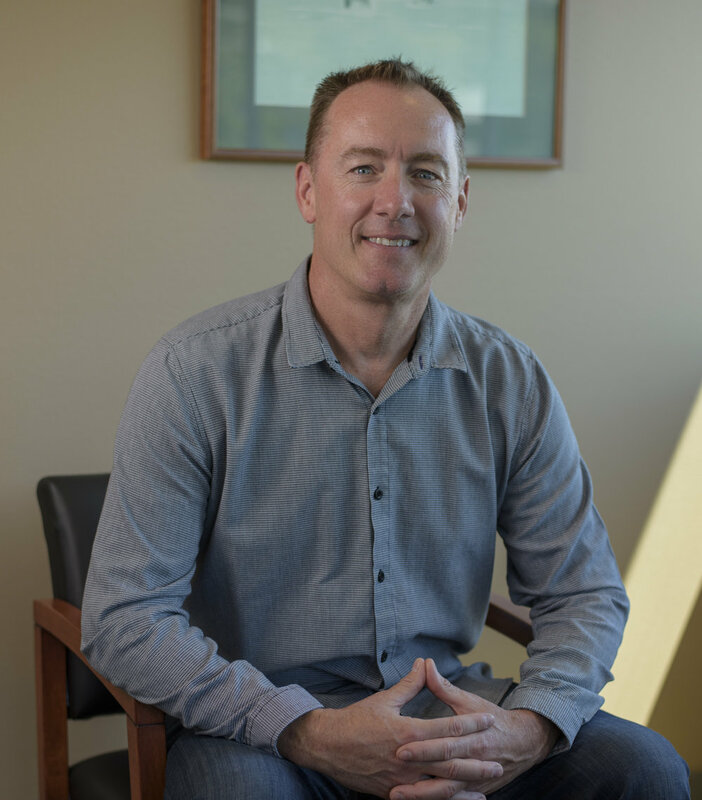 He went on to obtain his degree in Accounting and Business Administration and the rest is history :) Tom enjoys boating and water sports in the summertime, attending Mariner's spring training in AZ, and the annual family trip to Lake Chelan they've been taking for the past 30 years. He has two sons and three daughters with his wife, Julie. Jenni hails from University of Washington, earning her Bachelors in Accounting in 1994. She joined Frank’s firm as our tax manager in 2001. When her children departed for college, she decided she should figure out what she wanted to be when she grew up, so she has been a partner at Gintz Warner since 2015. After a different job brought him to the area, Frank started the practice in 1979. When plan A to retire in 2001 and plan B to retire in 2004 didn't work out, he decided he'd live to be 130 and work until then. When Chris initially expressed interest in buying the firm, Frank turned him down since he hadn't thought much about the idea, One day after suggesting to one of his clients they sell their business, he realized he should consider his own advice. He reached out to Chris, they realized they shared similar values for the firm, Frank gained full confidence Chris was the right guy, and he sold in 2012. Frank has his MBA in Accounting and he is a FINRA Registered Rep offering American Funds products. Frank still competes for US Masters Swimming and his collection of medals can be seen hanging in his office. He lives in Silverdale with his wife, Pam. They have two daughters. 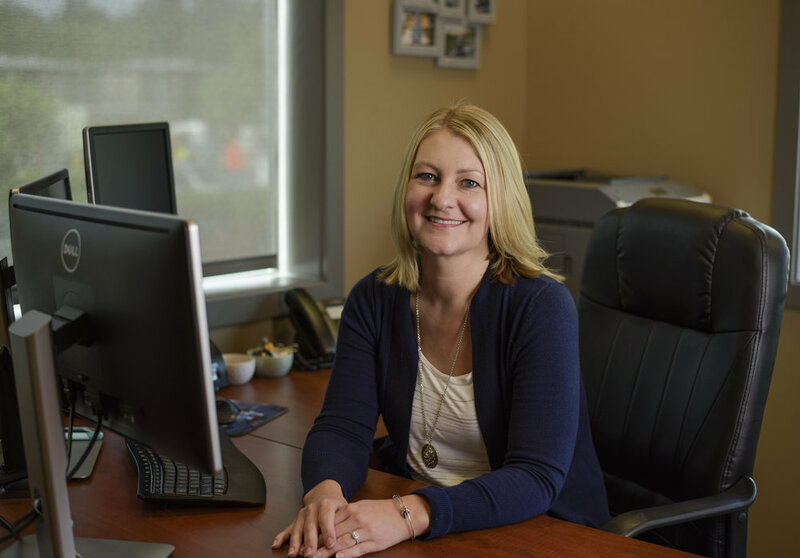 After the Navy stationed her husband here, Jamie joined the Gintz Warner team in 2016. She received her degree in Business Administration from the College of Charleston in 2001 and became a CPA in 2011. She enjoys traveling, adventuring outside (whether that's in the mountains or on a beach), cooking, and spending time with her family and friends. Aleya has been with the firm since 2009 when she started in what was supposed to be a temporary position. She got her AA in Business from OC and after a few years as receptionist, moved on to tax prep. In addition to preparing tax returns, she assists Frank with investments. Aleya was born and raised in Kitsap and never plans to leave! She enjoys softball, exercising (especially kickboxing), photography, volunteering at her church, and spending time with her family and friends. Bess has been with the firm since 2003. She has her AAS from Olympic College, her degree in Business Administration from WSU, and she's a Quickbooks Certified ProAdvisor. She prepares business tax returns and is also a bookkeeper. In her spare time, she enjoys being outside hiking, biking, gardening, and spending time with her 6 grown children and 6 (and counting!) grandchildren. Beverly has been with the firm since 2005. She has her AAS and ATA in Accounting and her Bookkeeping Certificate from Trident Technical College. She is also a Quickbooks Certified ProAdvisor and has a Customer Service Certificate from Shasta Community College. Outside of the office, Beverly raises chickens, enjoys biking, reading, gardening, and crocheting. She's also quite witty... everyone in the office gets a real kick out of Beverly's puns :) She married her perfect match, Mark, on April Fools Day 2012! Brent has his degree in Accounting from Rowan University in New Jersey and has been with the firm since 2015. Before accounting, he spent 6 years in the Navy as a nuclear machinist mate. He was stationed at Pearl Harbor for most of that time. He enjoys hiking, golfing, and attending his sons' sporting events. Dee started with the firm in 2011. She studied business at OC for 2 years, got distracted by a guy, fell in love, married him, and didn't quite get her degree! However, she spent 10 years bookkeeping at the Dept of Licensing, another 10 years in a finance department, and the last 10+ years bookkeeping for a local nonprofit in addition to her job here. Her hobbies include decorating (interior spaces, weddings, and Christmas trees especially! ), tennis, golfing, and babysitting her granddaughters. Donna has been with the firm since 1996 (whoa!) and learned everything she knows about bookkeeping and taxes through on-the-job training... or the University of Frank Warner CPA as she likes to put it ;) Donna's latest hobby she enjoys with her husband is photography. Like all these great photos on our website? Thank Donna! She also enjoys reading, hiking, biking, going on walks, fishing, and just being out in nature with her family. Jessica has been with the firm as a bookkeeper since 2015. She's currently attending Western Washington University to obtain her degree in special education. She has lived in Kitsap all her life and enjoys running! She's ran numerous half marathons and 5Ks including the Survivor Mud Run, the Gladiator Rock 'N Run, and she recently participated in the 200-mile Ragnar Relay. When she isn't running, she enjoys cooking and spending time with her family. Lisa has been with the firm since 2012 when she started as the receptionist. With a degree in Business Administration & Finance from Washington State University, she quickly moved on to tax prep. She loves to travel, especially to Europe where she has family living in Norway (she's visited 15 times!). In her spare time, she enjoys cooking, baking, and watching football (GO COUGS!!!) She lives in Poulsbo with her husband, Loren and their two children. Lori has been with the firm since 2000. She has her AA and does bookkeeping remotely from her home in Battle Ground, WA. She enjoys gardening, camping, and scrapbooking and has competed in three triathlons with coworkers. She and her husband, Dusty, have four children and three grandchildren. After years of commuting to work at a CPA firm in Tacoma, Mariah began working here (much closer to home!) in 2011 and has been doing taxes ever since! In her spare time, she enjoys reading, dancing, shopping, scrapbooking, traveling, and spending time with family and friends she's known since elementary school. She and her husband, Sean, live in Bremerton. They have five kids and three pets.